Use the search box below to browse items published by the Folio Society. Note this is library information, not a list of our stock. Please use the blue links in the returned items to view a particular item (via the Folio Ref number) or search further for the given author, title or illustrator. Use the green Check Stock links to search for related items that we currently have for sale. For illustration, the results given initially are for a search for the author Aldous Huxley. Finally, to list all the items published in order since 1947, just enter a blank search. You can search all of the Folio Society publications up to 2006, cross-referenced to the numbers assigned in the excellent book Folio 60 which gives more bibliographical information. Numbers beginning 5000... are for limited editions not given their own number in Folio 60. This is not a complete list, for which see the excellent list on Library thing. Numbers beginning 700... are my own references for groups of items often bought together (eg The Barset novels of Anthony Trollope). 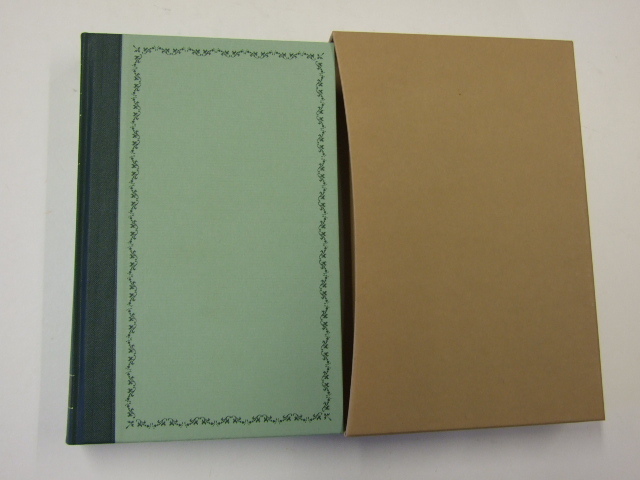 Number beginning 800... are for items for which the Folio Society has had some input (binding or slipcase) but which do not bear the Folio Society imprint. These are listed in the Appendix of Folio 60. For cross reference, my number 800001 corresponds to Folio 60 reference A1, 800002 to A2 and so on. The blue links help you search for other Folio Society books by the same author, or featuring the same illustrator, or in the same Folio Society series. The green links let you search our stock for relevant results. After 2006, we have assigned our own unique numbers to those books we have seen, and added information about them. The list will be updated from time to time as more titles come through. You can query our archive information by entering, say, "Trollope" in the search box to find all the Folio Society publications of his works. The "Details" link on the far right of the page for each book gives a link to the detailed information (and usually a picture) of the item.